Your wheels determine how smooth your ride is. If you’re looking for a better drive, check out this guide to buying rims and tires and get ready to upgrade. Today’s tires are designed to last for 50,000 to 60,000 miles. When your tires begin to wear, you are putting yourself and your car in greater danger than you may think. The friction caused by insufficient treads makes heat rise, causing blowouts and a loss of control at high speeds. 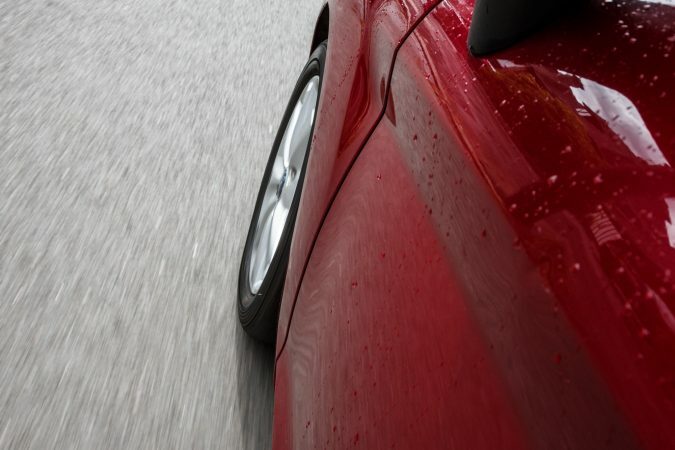 You are also at risk for hydroplaning in the rain and unsafe handling in ice or snow. Rotating your tires every 5,000 miles, and replacing them when every 50,000, can save you more than wear and tear on your car. It will give you driving ease, peace of mind, and accident-free travels. Most drivers are not highly educated about buying rims and tires. What are some important things to know before your next purchase? Let’s take a look. What Do I Look For When Buying Rims and Tires? 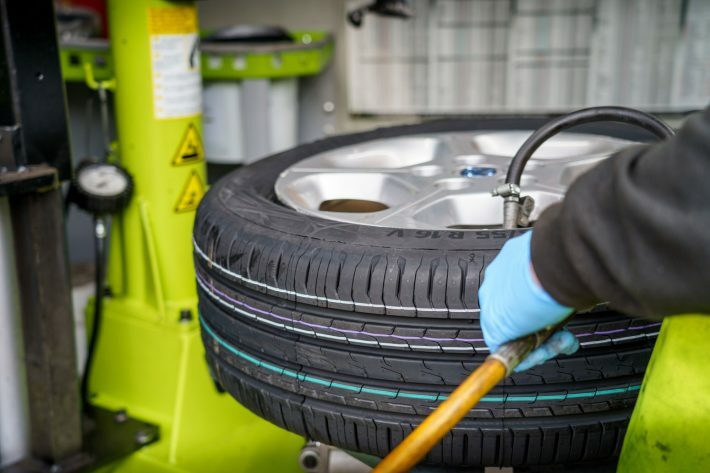 The life of your car tires is affected by a number of factors, including car type, tire type, road conditions, and the weather. When tire shopping, you will hear the term “treadwear” a lot. This is the comparative rating of your tire based on controlled conditions. In theory, the higher the treadwear, the longer your tire will last. The actual performance of your tire, however, will vary greatly, depending on where and how often you use it in the real world. Tire pressure monitoring systems (TPMS) come standard on all cars built since 2008. While the federal government does not specify the type of technology that should be used, all cars come equipped with some type of device that monitors tire pressure and alerts the driver when it drops significantly. When buying rims and tires, keep in mind that the sticker price of the tires is not the total cost of the investment. There will also be taxes, labor, and shipping fees if the shop does not have the part you want in stock. If you are switching to a larger tire size, you may have to purchase new rims, steering components, and a body leveling kit in addition to the tires. 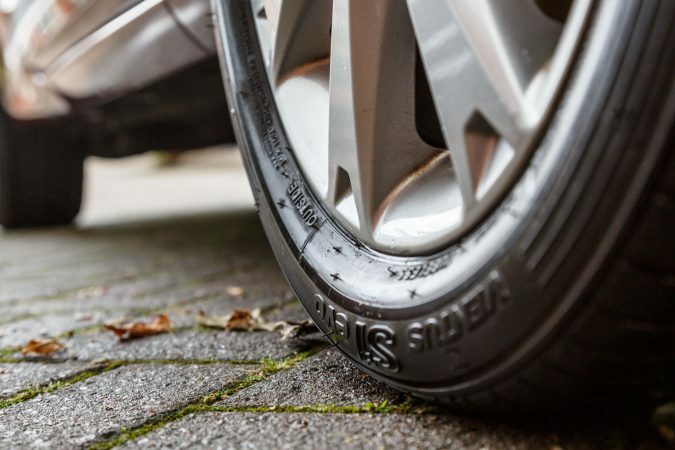 The most common type of tire purchased by car owners are standard all-season tires. These are sufficient for light-duty SUVs and pickups, as well as small cars. All-season tires promise long treadwear, year-round traction, and a comfortable ride. 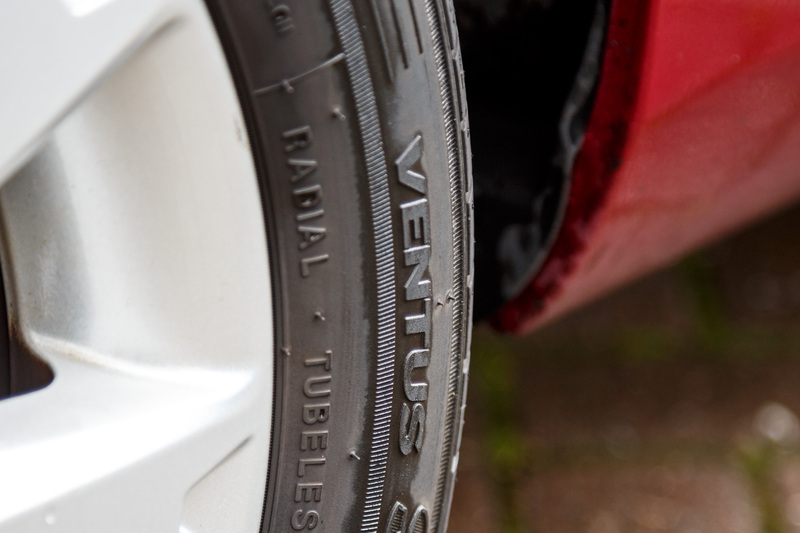 The wheel size on all-season tires is usually between 14 and 18 inches. A set of four can cost anywhere from $525 to $725. Increasing the size of your tires can drive up their price. Performance all-season tires provide year-round grip for more spirited driving. They have a higher speed rating and better braking and handling than standard all-season tires. Performance all-season tires are 15-18 inches around, and cost anywhere from $60 to $200 a tire. Ultra high-performance tires are custom-fitted for upscale sedans or sporty vehicles. They provide good handling and responsive steering in both wet and dry conditions. Summer ultra-high-performance tires are not intended for gripping snow or ice. Ultra high-performance tires can come with no warranty, or with one from 30,000 to 60,000 miles. They are 17 to 22 inches in diameter and cost $250 or more per tire. Drivers of larger vehicles may be interested in purchasing all-season truck tires, which are designed for heavy loads on an SUV or pickup. Warranties can be purchased for 60,000 to 90,000. The wheel size is 16-20 inches, and they cost $100 to $200 per tire. For more hearty driving, all-terrain truck tires are designed for both paved road and light off-road use. They have rugged treads that add traction on both unpaved and snowy surfaces. The softer rubber on all-terrain tires gives them a shorter tread life. Yet they perform well in snowy, dry and muddy conditions. They are around $125 per tire and $900 for a set of four. Even more specialized for larger vehicles, mud terrain tires have deep ridges that increase traction in slippery conditions, and deep spaces that help remove mud, gravel, and debris. Mud terrain tires are about $225 each, and $1125 per set. Drivers of all types of vehicles may be interested in purchasing snow tires during the winter months, especially if they live in areas with hilly terrain. These tires have faster treadwear and lots of grooves and rows designed to grip and bite the ground in snow and ice. Their rubber stays pliable, even at freezing temperatures. Snow tires take longer to stop than all-season tires. They usually don’t come with a warranty. Snow tires are 14-20 inches in diameter and cost $100 to $200 per tire. Performance winter/snow tires are also available. These come in different sizes and are usually between 17 and 20 inches in diameter. They cost between $100 and $200 per tire. When purchasing rims, you will want to think about factors such as cost, appearance, and functionality. Steel rims are the most affordable. At $75 or less, they have a good basic appearance and are very durable when light damage occurs. Aluminum or alloy rims give your vehicle the look of polished aluminum wheels. They are more expensive, at around $100 each, and have fancier design options. They do not hold up as well as steel rims when damaged. Beadlock rims are created for aggressive driving and rock-climbing. The beads lock against the rim to reduce the risk of tire wall separation. Beadlock rims are the most expensive, at about $215 each. Now that you know about your options for buying rims and tires, you can make a safe, informed decision about how to best outfit your vehicle. You can get behind the wheel in style and with the confidence that you have a fantastic, reliable set of wheels underneath you.